Andrzej Chwalba, 1914-1918. An Anatomy of Global Conflict, Krakow 2014 (25 x 17,6 cm, 228 pages, paperback, ISBN: 978-83-233-3638-9). Katarzyna Sonnenberg, A Comparative Reading of Ihara Saikaku’s. 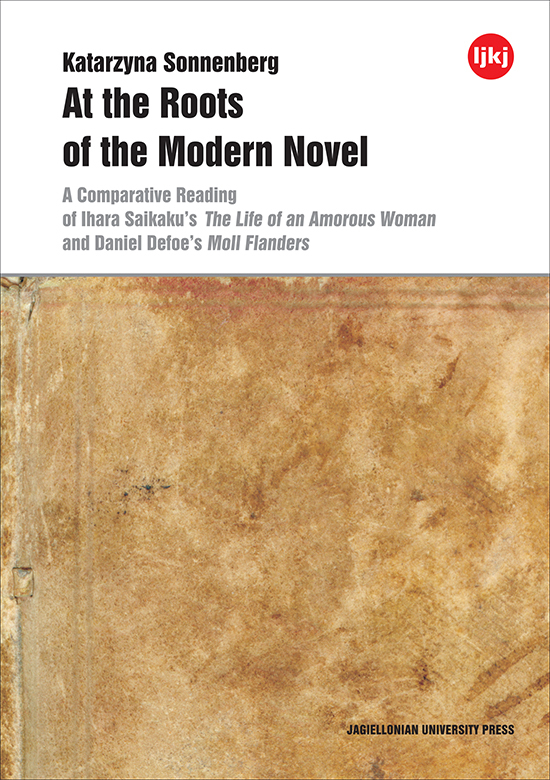 The Life of an Amorous Woman and Daniel Defoe’s Moll Flanders, Kraków 2015 (25 x 17,6 cm, 118 pages, paperback, ISBN: 978-83-233-3904-5). 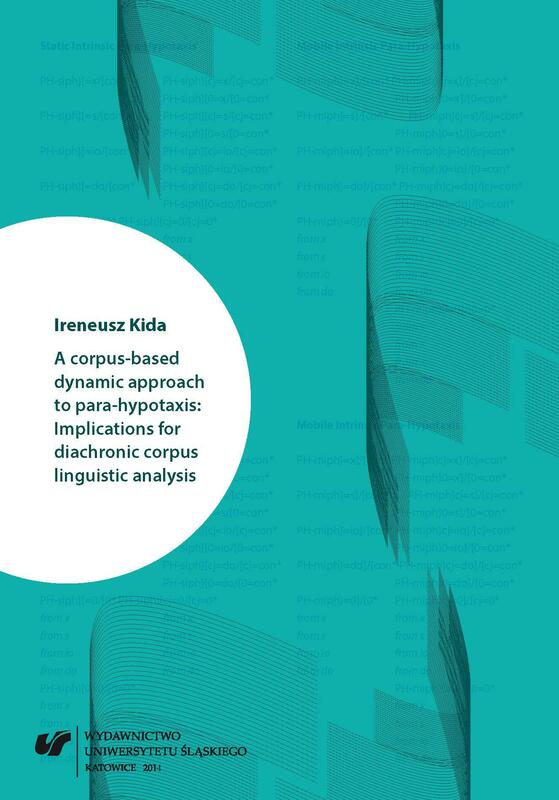 Ireneusz Kida, A Corpus-Based Dynamic Approach to Para-Hypotaxis: Implications for Diachronic Corpus Linguistic Analysis, Katowice 2014 (24 × 16,8 cm, 244 pages, paperback, ISBN: 978-83-226-2278-0). Michał Galas, Shoshana Ronen (eds), A Romantic Polish-Jew, Rabbi Ozjasz Thon from Various Perspectives, Kraków 2015 (25 x 17,6 cm, 214 pages, paperback, ISBN: : 978-83-233-3872-7). Agnieszka Tomas (ed. ), Ad fines Imperii Romani. 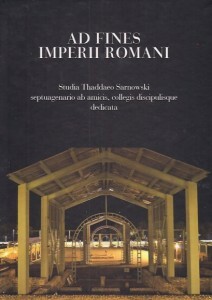 Studia Thaddaeo Sarnowski septuagenario ab amicis, collegis discipulisque dedicata, Varsaviae 2015 (29,7 x 21,6 cm, 475 pages, 188 b&w and 31 colour illustrations, 7 diagrams, 5 tables, hardback, ISBN: 978-83-61376-46-0). Wiesław Kozub-Ciembroniewicz (ed. 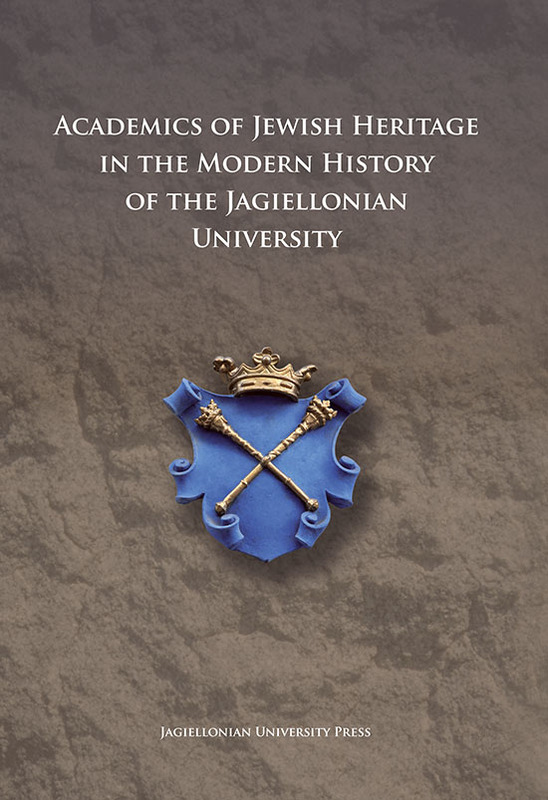 ), Academics of Jewish Heritage in the Modern History of the Jagiellonian University, Krakow 2014 (21 x 17 cm, 384 pages, hardback, ISBN 978-83-233-3705-8). 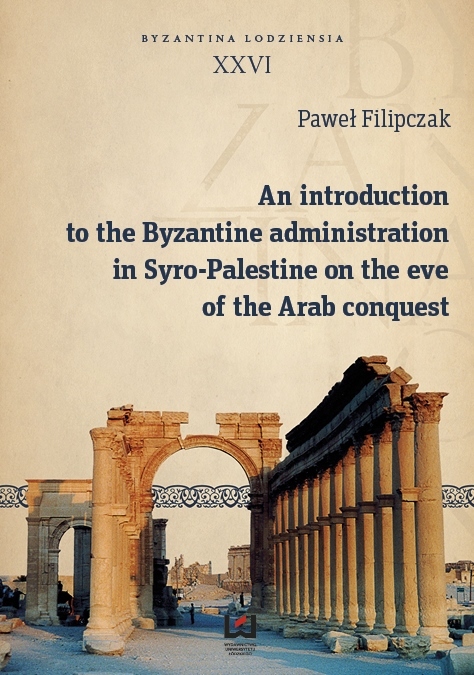 Paweł Filipczak, An Introduction to the Byzantine Administration in Syro-Palestine on the Eve of the Arab Conquest, Łódź 2015 (24 x 17 cm, XVII + 127 pages, e-ISBN: 978-83-7969-951-3). 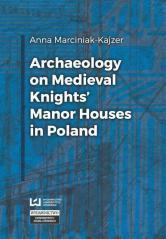 Anna Marciniak-Kajzer, Archaeology on Medieval Knights’ Manor Houses in Poland, Łódź 2016 (24 x 17 cm, 210 pages, illustrations, paperback, ISBN: 978-83-8088-002-3). Roksana Chowaniec, Archaeology for Everyone. 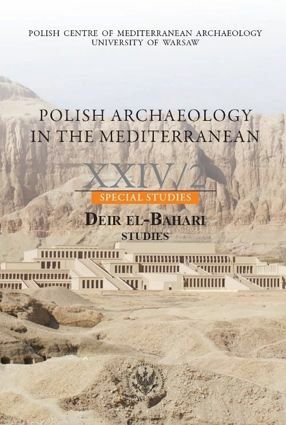 Presenting Archaeological Heritage to the Public in Poland, Warsaw 2017 (25 x 17,6 cm, 358 pages, numerous b&w and colour illustrations, paperback, ISBN 978-83-61376-08-8). 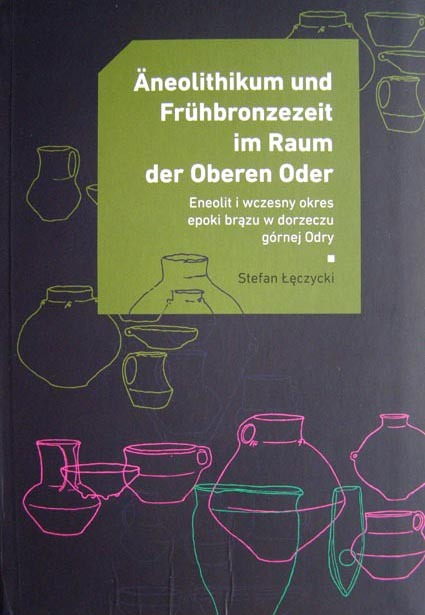 Stefan Łęczycki, Äneolithikum und Frühbronzezeit im Raum der Oberen Oder, Katowice 2014 (16,5 x 24,1 cm, 510 pages, 123 b&w plates (with drawings, photos, diagrams, tables), 20 maps, summary in Polish and English + CD (catalogue of 780 sites, 253 plates with maps of sites and drawings of artefacts), sewn spine, semi-hardback, ISBN: 978-83-62593-49-1). Paweł Laidler, Maciej Turek (eds), Basic Documents in Federal Campaign Finance Law, Kraków 2015 (25 x 17,6 cm, 142 pages, paperback, ISBN: 978-83-233-4044-7). Agnieszka Stopińska-Pająk (ed. 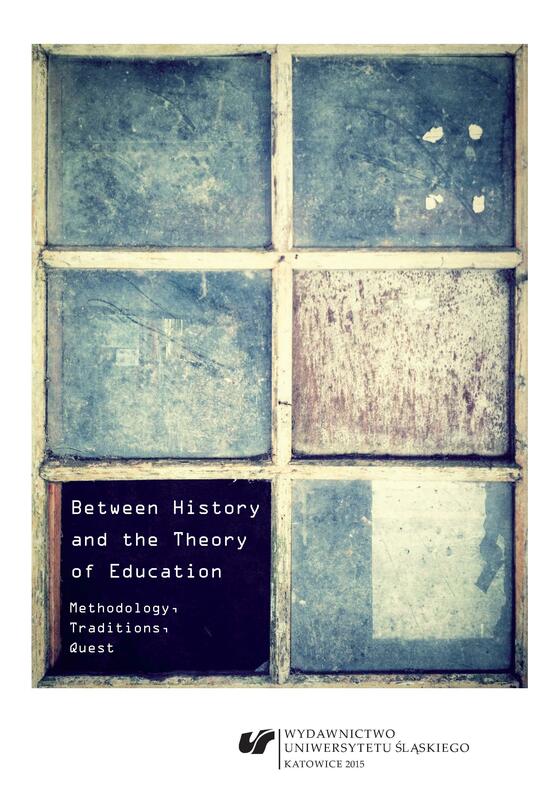 ), Between History and the Theory of Education. Methodology, Traditions, Quest, Katowice 2015 (24 × 16,8 cm, 164 pages, paperback, ISBN: 978-83-226-2206-3). 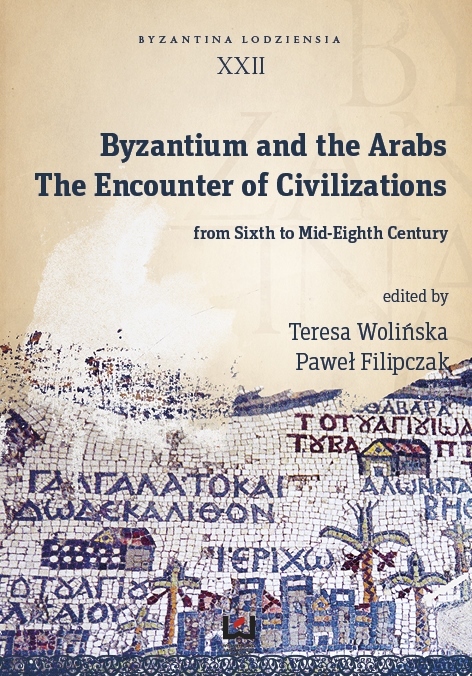 Teresa Wolińska, Paweł Filipczak (eds), Byzantium and the Arabs. 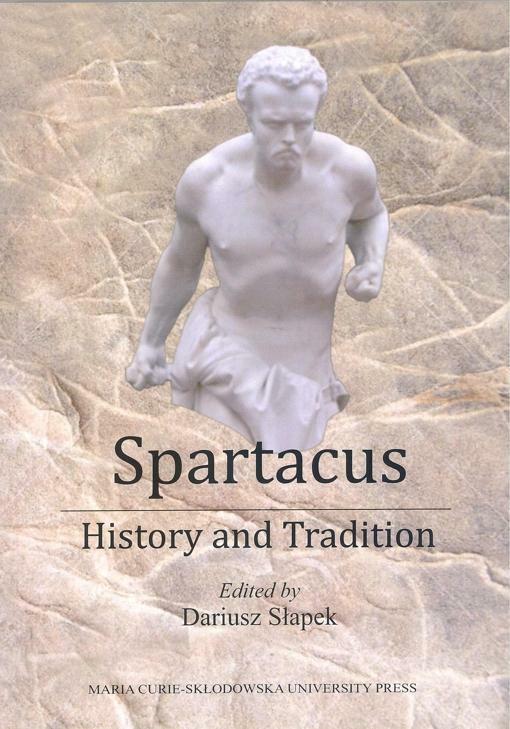 The Encounter Civilizations from Sixth to Mid-Eighth Century, Łódź 2015 (24 x 17 cm, VIII + 614 pages, 13 bw and 45 colour illustrations, e-ISBN: 978-83-7969-903-2). Romuald Schild (ed. ), Całowanie. 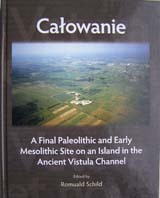 A Final Paleolithic and Early Mesolithic Site on an Island in the Ancient Vistula Channel, Warsaw 2014 (30 x 21 cm, 376 pages, 248 b&w and 60 colour illustrations, 25 tables, hardback, ISBN: 978-83-63760-30-4). 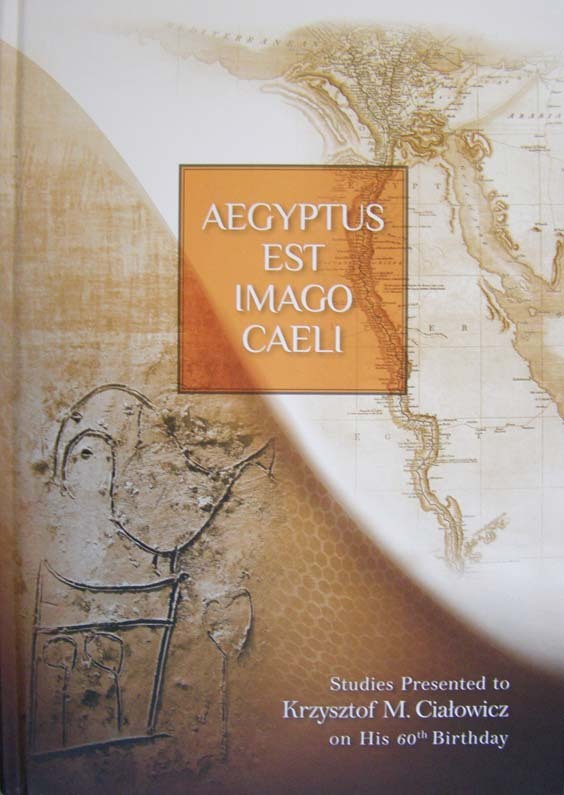 Dariusz Maliszewski, Polis-Pyrgos Archaeological Project. 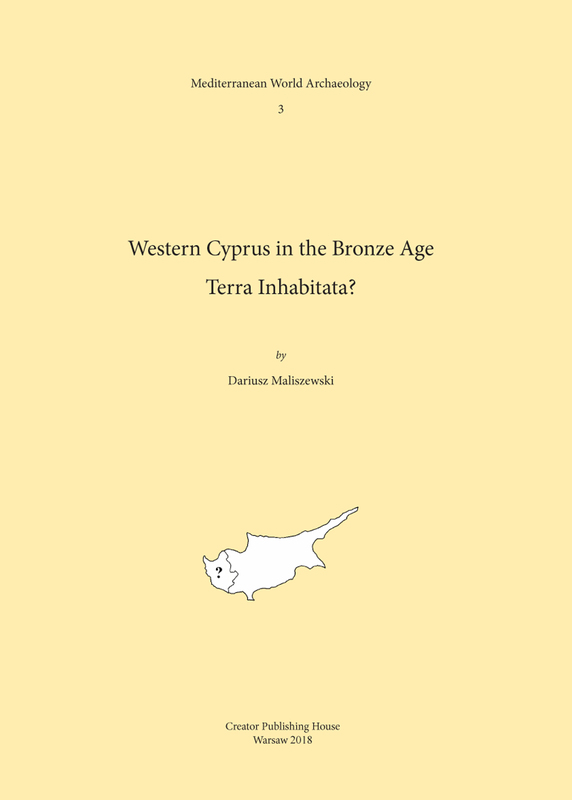 I. Chalcolithic and Bronze Age Pottery from the Field Survey in Northwestern Cyprus, 1992–1999, Oxford 2013 (29,6 x 21 cm, X + 183 pages, 486 b&w and colour illustrations of objects (drawings, photographs), 3 diagrams, 1 table, 3 maps, paperback, ISBN: 978-1-4073-1167-8). 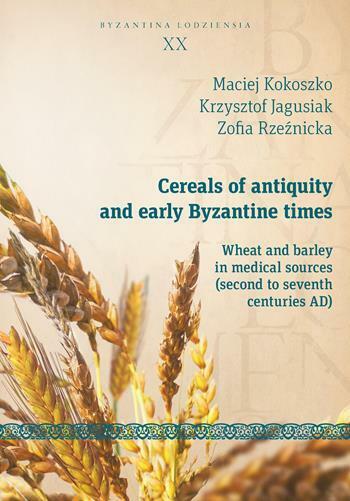 Maciej Kokoszko, Krzysztof Jagusiak, Zofia Rzeźnicka (eds), Cereals of Antiquity and Early Byzantine Times. 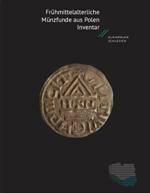 Wheat and Barley in Medical Sources (Second to Seventh Centuries AD), Kraków 2015 (25 x 17,6 cm, 518 pages, paperback, ISBN: 978-83-233-3901-4). 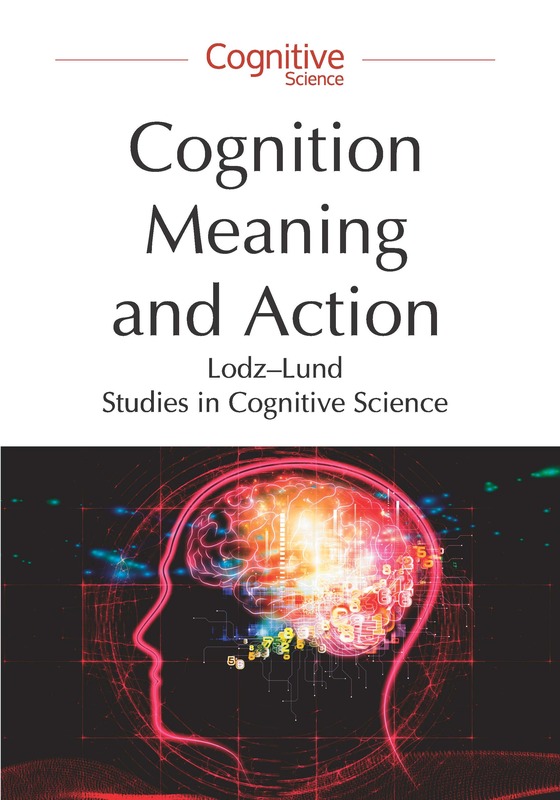 Aleksander Gemel, Piotr Łukowski, Bartosz Żukowski, Cognition, Meaning and Action Lodz-Lund Studies in Cognitive Science, Łódź 2015 (24 x 16,8 cm, 180 pages, 6 colour illustrations, paperback, ISBN: 978-83-7969-759-5). Łukasz Gaweł, Ewa Kocój, Cultural Heritage – Management, Identity and Potential, Kraków 2015 (25 x 17,6 cm, 140 pages, paperback, ISBN: 978-83-233-3941-0). Małgorzata Borowska, Przemysław Kordos, Dariusz Maliszewski (red. 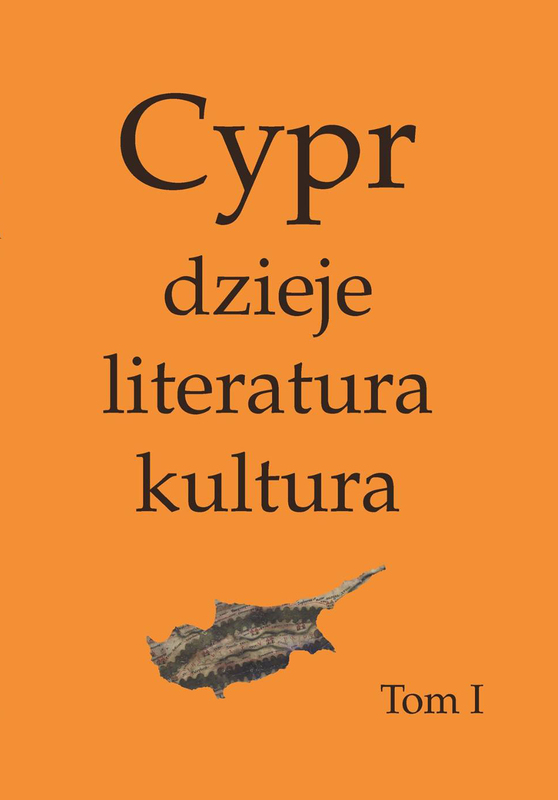 ), Cypr: dzieje, literatura, kultura, vols I-II, Warszawa 2014 (24,7 x 17,5 cm, XI + 987 pages, 268 b&w and 33 colour illustrations, 8 tables, summaries in English, hardback, ISBN: 978-83-64003-06-6). Agnieszka Morawińska, Director's Choice. 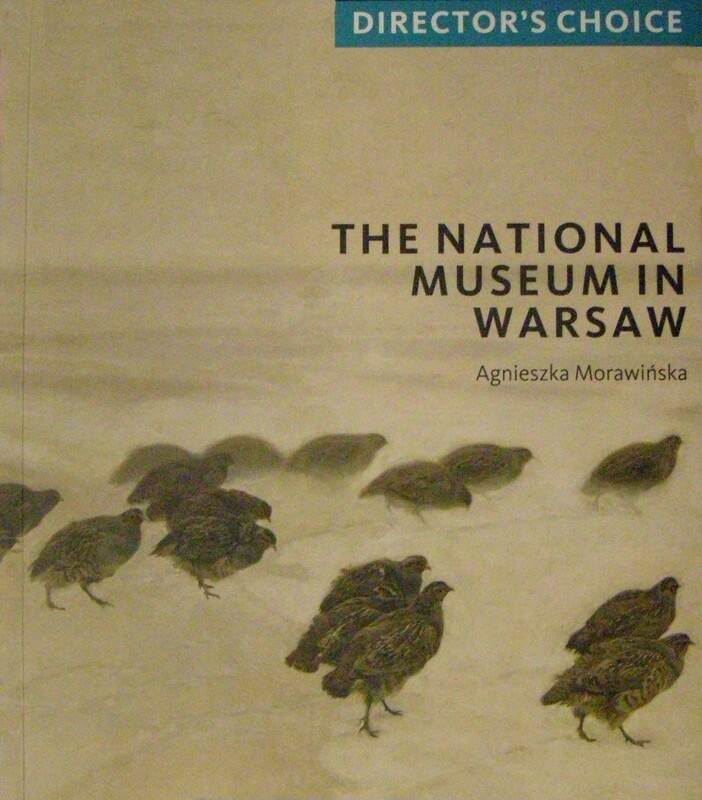 The National Museum in Warsaw, London 2016 (19 x 16,8 cm, 79 pages, 50 colour illustrations, paperback, ISBN: 978-1-78551-030-4). 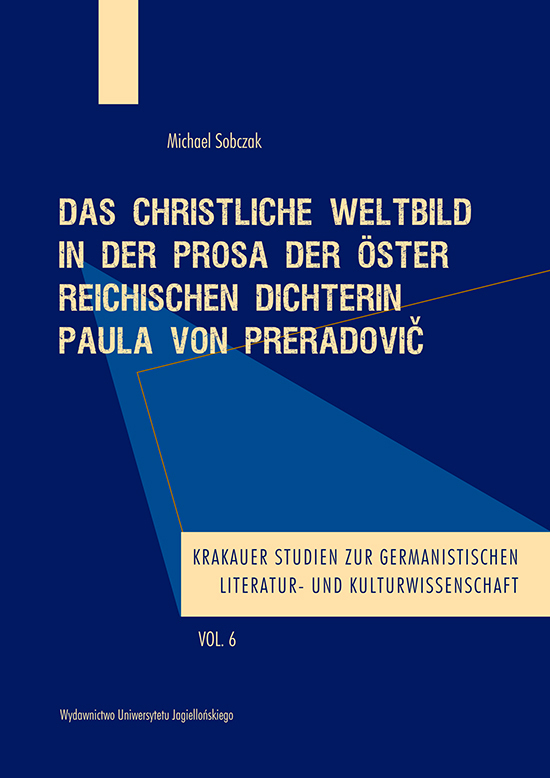 Michael Sobczak, Das christliche Weltbild in der Prosa der osterreichischen Dichterin Paula von Preradović, Krakow 2016 (25 x 17,6 cm, 230 pages, paperback, ISBN: 978-83-233-4038-6). Zbigniew E. Szafrański (ed. ), Deir El-Bahari. Studies, Warsaw 2015 (24 x 17 cm, 207 pages, 34 b&w and 50 colour illustrations, 1 plan, 9 tables, paperback, ISBN: 1234-5415). 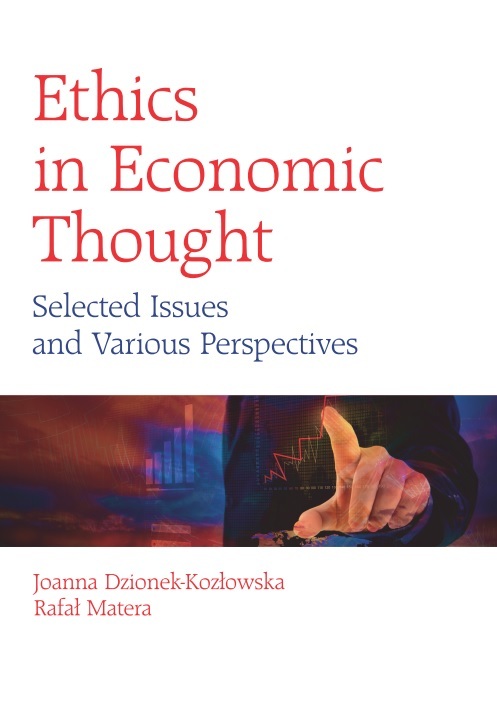 Joanna Dzionek-Kozłowska, Rafał Matera, Ethics in Economic Thought. Selected Issues and Various Perspectives, Łódź, Kraków 2015 (25 x 17,6 cm, 130 pages, paperback, ISBN: 978-83-7969-687-1). Janusz K. Kozłowski, Marek Nowak, Marián Vizdal (eds), Early Farmers of the Eastern Slovak Lowland: The Settlement of the Eastern Linear Pottery Culture at Moravany, Kraków 2015 (29,7 x 21 cm, 216 pages, 72 bw and 98 colour illustrations, 29 tables, paperback, ISBN: 978-83-767-6220-3). 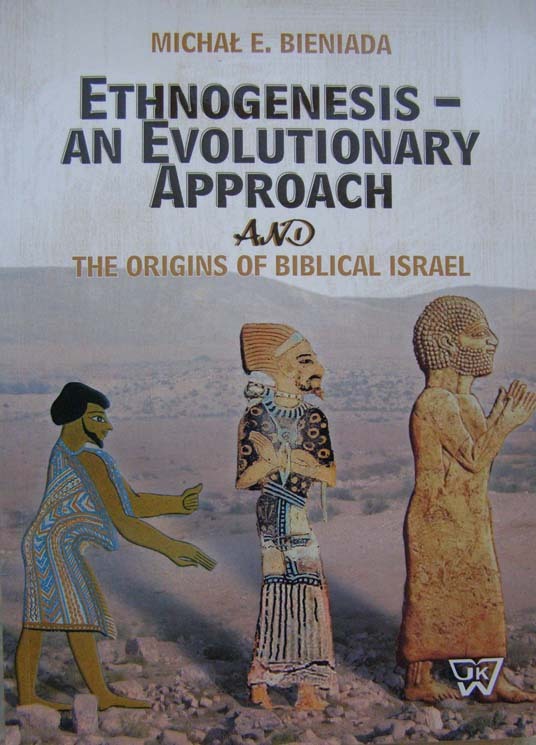 Michał E. Bieniada, Ethnogenesis an Evolutionary Approach and the Origins of Biblical Israel, Warsaw 2014 (23,5 x 16,5 cm, 242 pages, 15 b&w illustrations, paperback, ISBN: 978-83-64181-67-2). 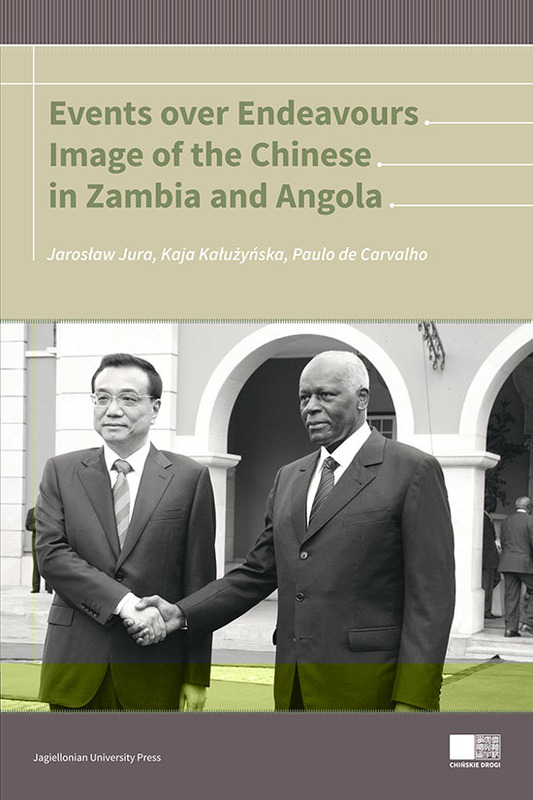 Jarosław Jura, Kaja Kałużyńska, Paulo de Carvalho (eds), Events over Endeavours, Image of the Chinese in Zambia and Angola, Kraków 2015 (25 x 17,6 cm, 186 pages, paperback, ISBN: 978-83-233-3840-60). 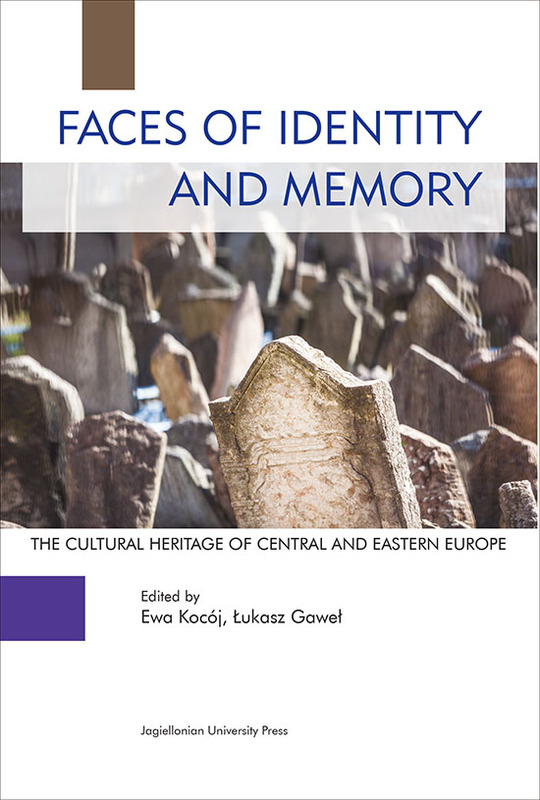 Ewa Kocój , Łukasz Gaweł (eds), Faces of Identity and Memory;The Cultural Heritage of Central and Eastern Europe, Kraków 2015 (25 x 17,6 cm, 224 pages, paperback, ISBN: 978-83-233-3954-0). 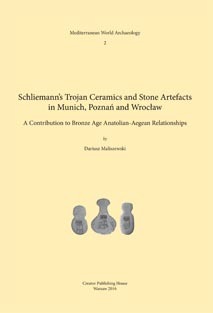 Dobrochna Gorlińska, Stanisław Suchodolski, Mateusz Bogucki, Peter Ilisch, Dorota Malarczyk, Tomasz Nowakiewicz, Frühmittelalterliche Münzfunde aus Polen. Inventar III. 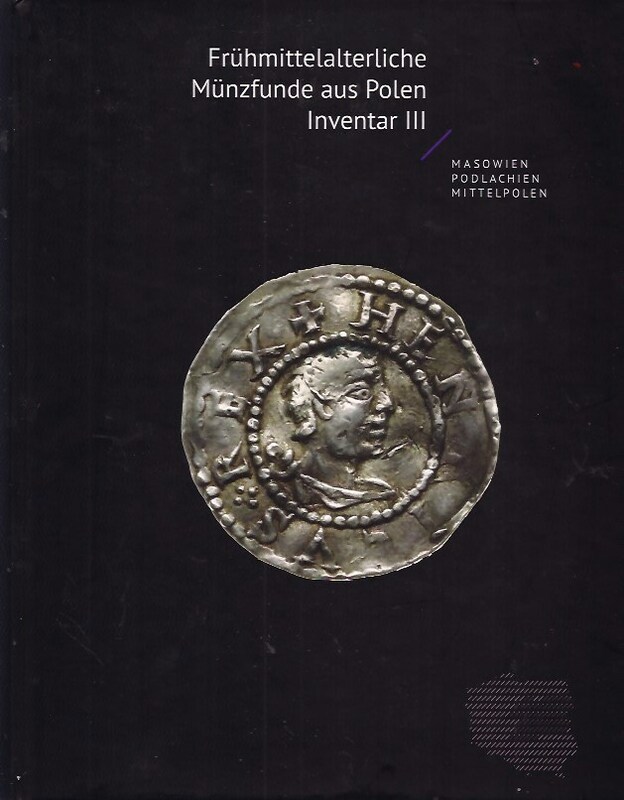 Masovien, Podlachien, Mittelpolen, Warszawa 2015 (27,6 x 21,3, 714 pages, 140 bw and 12 colour plates, many tables, 1 colour map, hardback, ISBN: 978-83-63760-61-8). Bożena Reyman-Walczak, Peter Ilisch, Dorota Malarczyk, Tomasz Nowakiewicz, Barbara Butent-Stefaniak, Frühmittelalterliche Münzfunde aus Polen. Inventar IV. Kleinpolen, Schlesien, Warszawa 2013 (27,6 x 22 cm, 494 pages, 72 bw and 6 colour plates, many tables, 2 colour maps, hardback, ISBN: 978-83-63760-19-9). 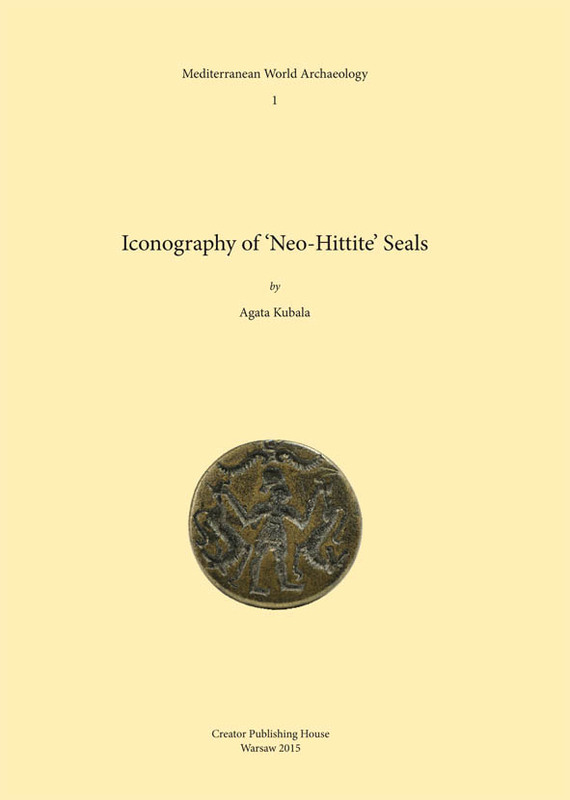 Agata Kubala, Iconography of ‘Neo-Hittite’ Seals (Mediterranean World Archaeology 1), Warsaw 2015 (29,6 x 21 cm, VI + 132 pages, 96 b&w and 12 colour illustrations, 2 tables, 1 map, paperback, ISBN: 978-83-940217-1-9). 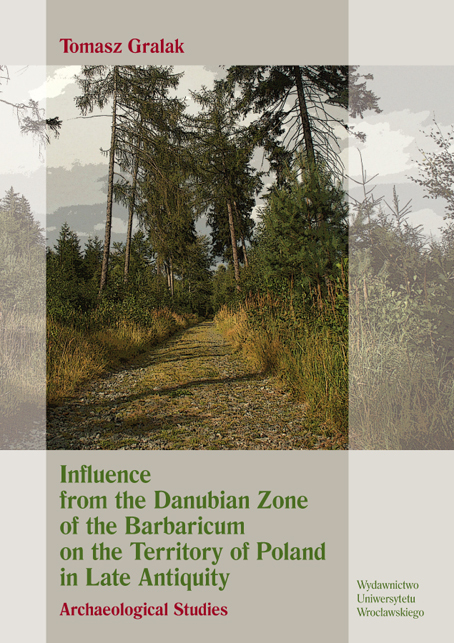 Tomasz Gralak, Influence from the Danubian Zone of the Barbaricum on the Territory of Poland in Late Antiquity, Wrocław 2012 (23,8 x 16,8 cm, 387 pages, 47 bw plates, 2 bw and 13 colour maps, paperback, ISBN: 978-83-229-3256-8). 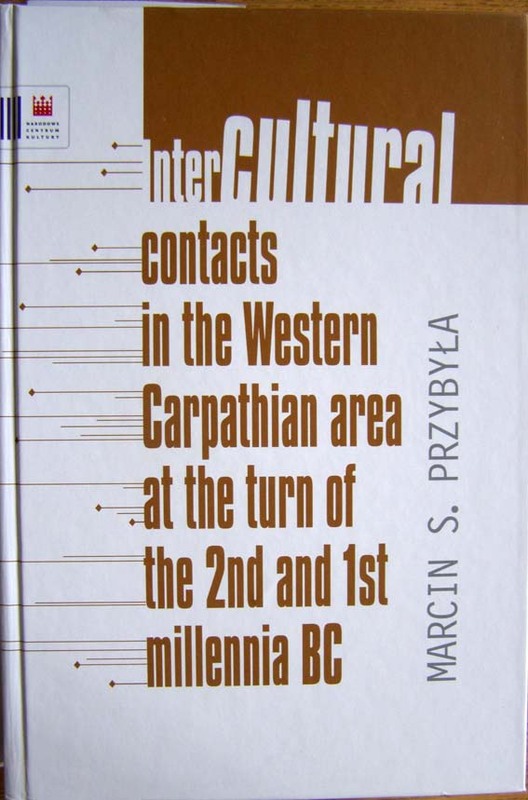 Marcin S. Przybyła, Intercultural Contacts in the Western Carpatian Area at the Turn of the 2nd and 1st Millennia BC, Warszawa 2009 (24,7 x 16,6, 553 pages, 109 bw illustrations, hardback + bookjacket, ISBN: 978-83-926238-6-1). Ludmiła Gruszewska-Blaim, Tomasz Wiśniewski (eds), J.M. Coetzee: Dead Ends and Beyond, Gdańsk 2015 (12,5 x 20 cm, 198 pages, paperback, ISBN: 978-83-7865-357-8). Małgorzata Zawadzka, Jean Cocteau : le poète face aux arts plastiques, Warszawa 2014 (14,8 x 21 cm , 290 pages, paperback, ISBN/ISSN: 978-83-235-1665-1). Artur Patek, Jews on Route to Palestine 1934-1944. Sketches from the History of Aliyah Bet – Clandestine Jewish Immigration, Krakow 2012 (25 x 17,6 cm, 222 pages, paperback, ISBN: 978-83-233-3390-6). Marzena Szmyt, Late Neolithic Landscapes on the Polish Lowland: People, Culture and Economy in Kujawy – 4th and 3rd Millennia BC, Poznań 2013 (30,5 x 22,4 cm, 380 pages, 175 bw and 33 colour illustrations, 68 tables, hardback, ISBN: 978-83-232-2590-4). Jakub Niedbalski, Living and Working in a Social Welfare Home Poland. 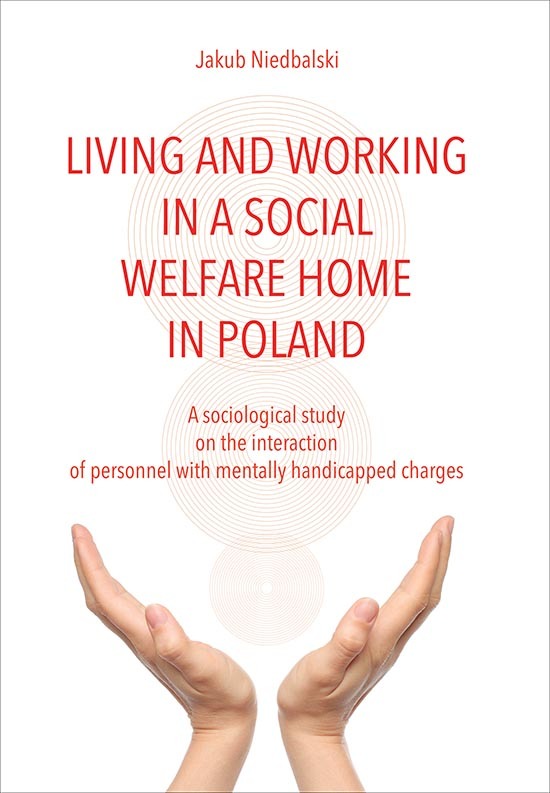 A Sociological Study on the Interaction of Personnel with Mentally Handicapped Charges, Łódź, Kraków 2015 (24 x 17 cm, 329 pages, paperback, ISBN: 978-83-7969-579-9). 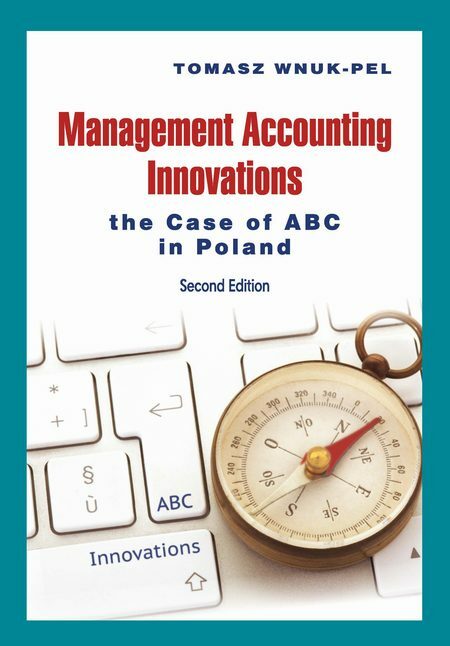 T. Wnuk-Pel, Management Accounting Innovations, Kraków 2015 (25 x 17,6 cm, 238 pages, paperback, ISBN: 978-83-233-3811-6). Andrzej Herman, Tadeusz Oleksyn, Izabela Stańczyk (eds), Management Respecting and Promoting Values, Kraków 2015 (25 x 17,6 cm, 330 pages, paperback, ISBN: 978-83-233-4011-9). Bogusław Nierenberg, Media Management. A Comparative Analysis of European and American Systems, Kraków 2016 (25 x 17,6 cm, 222 pages, paperback, ISBN: 978-83-233-3990-8). Franciszek M. Stępniowski (ed. 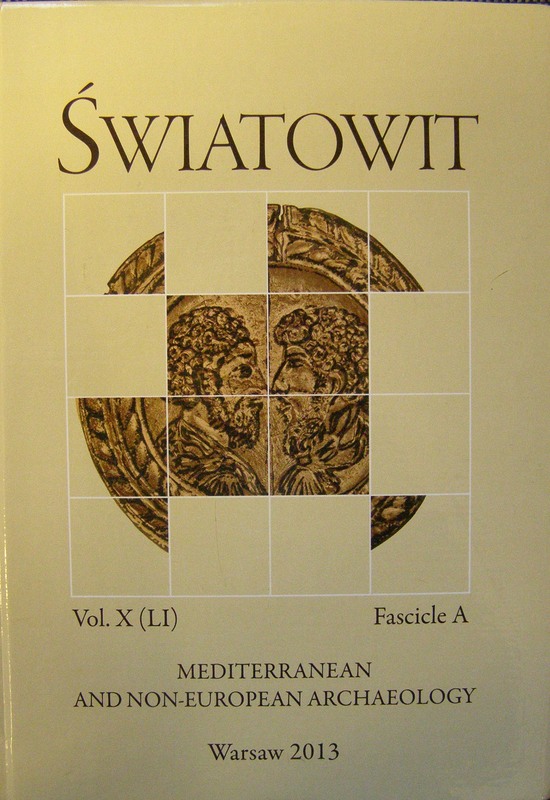 ), Mediterranean and Non-European Archaeology (Światowit X), Warsaw 2013 (29,7 x 21 cm, 221 pages, 136 b&w illustrations, 8 tables, hardback, ISSN: 0082-0044X, ISBN: 978-83-61376-97-2). Franciszek M. Stępniowski (ed. 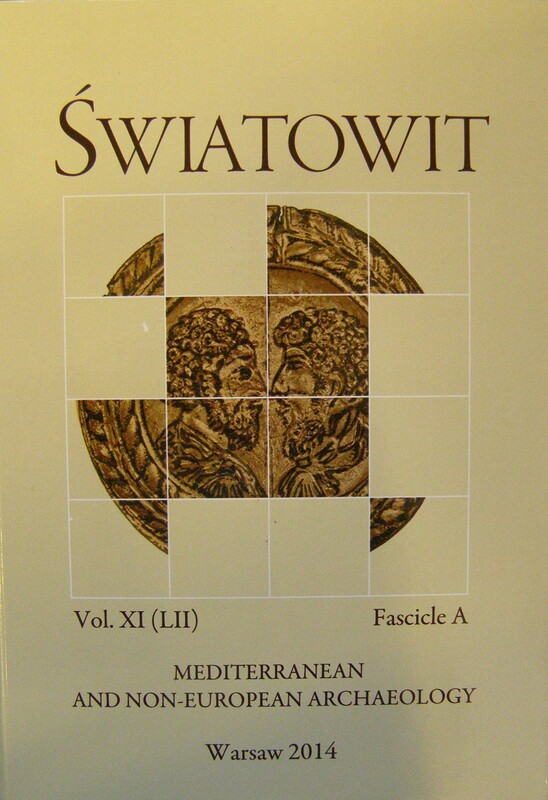 ), Mediterranean and Non-European Archaeology (Światowit XI), Warsaw 2014 (29,7 x 21 cm, 251 pages, 159 b&w and 16 colour illustrations, 7 tables, hardback, ISSN: 0082-0044X, ISBN: 978-83-61376-34-7). 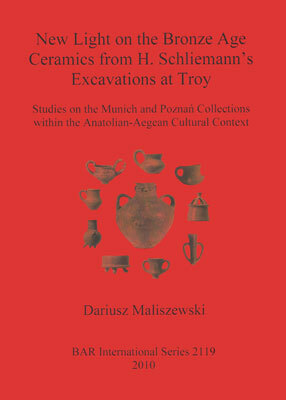 Dariusz Maliszewski, New Light on the Bronze Age Ceramics from H. Schliemann’s Excavations at Troy: Studies on the Munich and Poznań Collections within the Anatolian-Aegean Cultural Context, Oxford 2010 (29,6 x 21 cm, VI + 402 pages, 242 b&w and colour illustrations of objects (drawings, photographs), 15 tables, 1 map, paperback, ISBN: 978-1-4073-0482-3). 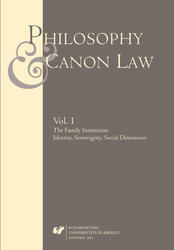 Philosophy and Canon Law. Vol. I. The Family Institution: Identity, Sovereignty, Social Dimension, Katowice 2015 (24 × 16,8 cm, 268 pages, paperback, ISSN: 2450-4955). 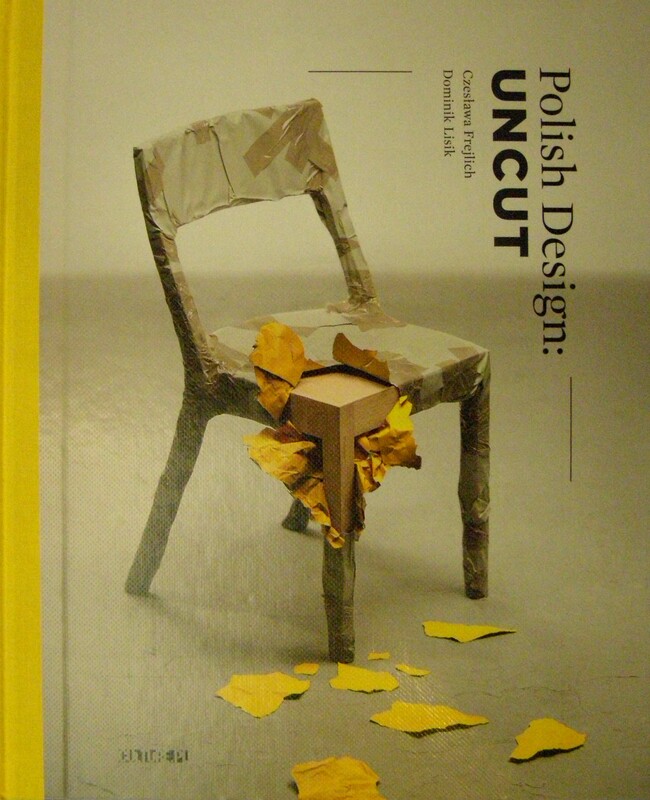 Czesława Frejlich, Dominik Lisik, Polish Design: Uncut, Warsaw 2013 (28,7 x 23,7 cm, 294 pages, 83 b&w and 138 colour illustrations, hardback, ISBN: 978-83-60263-43-3). Grzegorz Libor, Dorota Nowalska-Kapuścik (eds), Poor Europe. 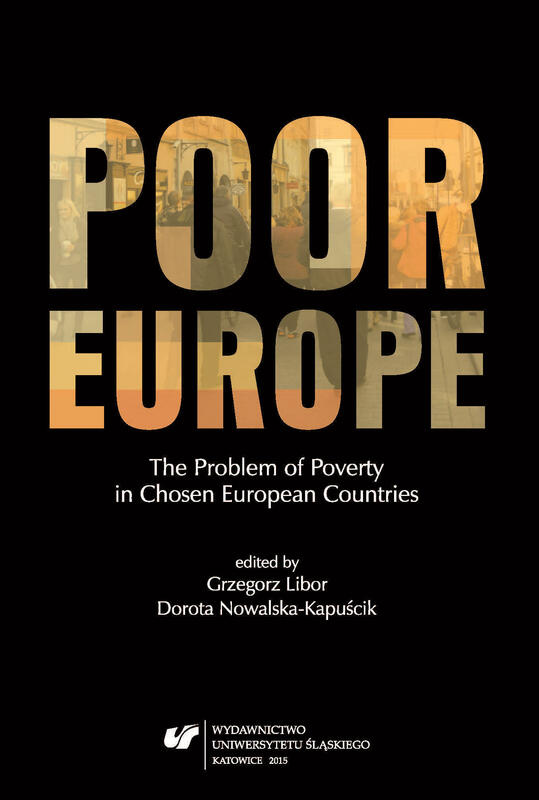 The Problem of Poverty in Chosen European Countries, Katowice 2015 (24,6 x 17,1 cm, 280 pages, hardback, ISBN: 978-83-8012-580-3). Welcome to the website of Creator Publishing House. We invite you for shopping.